Looking for new ways to wear color? Check out these looks from United Colors of Benetton for some inspiration. 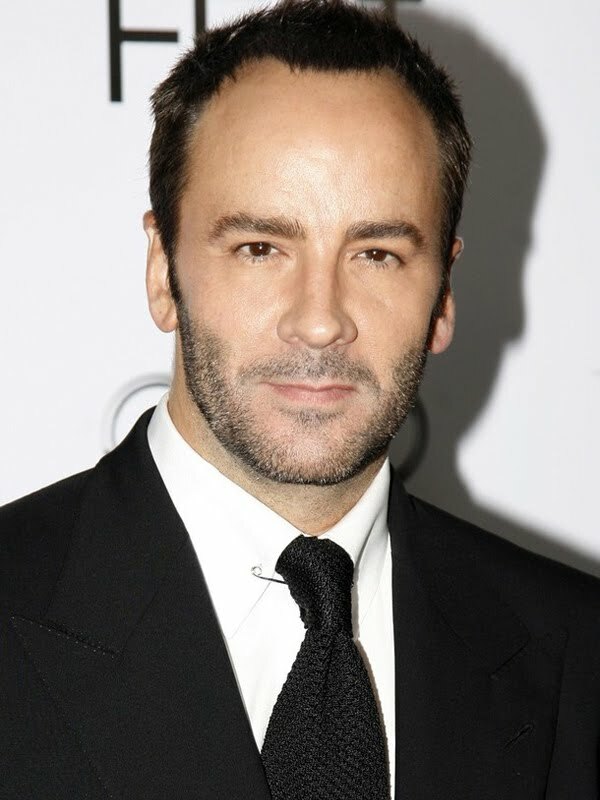 Here is a list of the 15 things Tom Ford thinks that every guy should have that I read over at vogue.co.uk. I would say I agree with (almost) all of them. Sharp Style Blog: Tell us a little bit about yourself. Plain T-Shirt: Well I'm currently a photography student at a school in Pittsburgh and spend to much time on the computer. I play basketball a lot and know Netflix instant like the back of my hand. The movie selection on there is terrible. SSB: What are you wearing today? PT-S: A pair of Khaki Waders by Dockers, some striped J. Crew socks and classic bucks. Oh, and a beat up sweater I have had for a while. Next level comfortable. SSB: How would you describe your personal style and what is some of your style inspirations? 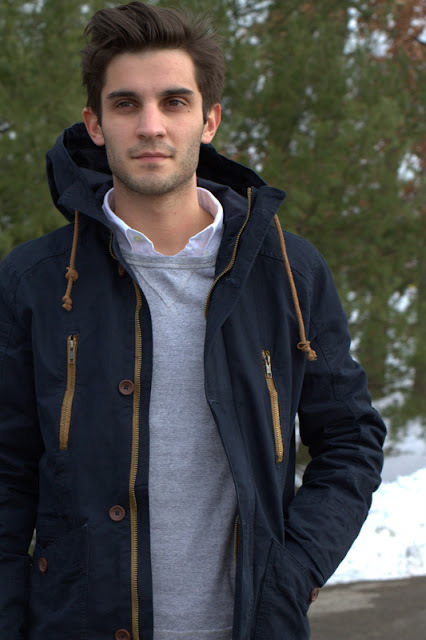 PT-S: I would describe the blog as a mix of confidence, laughs and a little bit of fashion. Just some advice on how to not take yourself to seriously and have fun with your own personal style. Without spending all of your money. Only some of it. I don't know if I have any specific style inspirations. I'm still finding my own sense of style, so it's hard to pinpoint certain things. Mostly the large amount of lookbooks and pictures I look at. I'm very visual, so pictures that don't necessarily have to do with style correlates with my inspiration. Milan Vukmirovic is pretty badass though. SSB: What motivated you to start Plain T-Shirt? PT-S: I wanted to display the process of how I put outfits together. So it's a constant work in progress because I'm still teaching myself how to do that while showing or letting people know how relatively easy it is to do themselves. SSB: I can tell you really enjoy photography, how and when did you become interested in it? PT-S: Man, I have always been taking or looking at pictures. Whether I was outside with my parent's old AE-1 or flipping through some Cartier-Bresson or Robert Frank books, I just enjoyed looking at pictures way more than reading stuff. So I stuck with it. And majored in it. And love it. SSB: What are your favorite things to photograph? PT-S: I like to shoot people mostly. I enjoy seeing the comfort level some people have with a camera pointed at them. If I had to choose something else though, it would be architecture. So many leading lines and fun colors. SSB: What is one thing people wouldn’t know about you from your blog? PT-S: I'm left-handed. Bet that just flipped your world upside down. SSB: Is there any piece of clothing you really wish you had right now? PT-S: Burberry Brit Showerproof hooded poplin parka. It won't happen. But it looks like a nice layer for any weather. SSB: What are some of the style necessities that you think all guys should have? PT-S: A plain t-shirt. A pair of running shoes. And something to hold all of your keys on. SSB: Where do you see your blog going in the future? PT-S: That's a good question. I'm a very down to earth guy and just want to keep doing what I do. Talking to people. 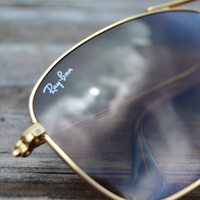 Enjoy personal style and hearing how people have changed after buying a couple simple items. Hopefully it will continue to grow and provide me the opportunity to do so. You can check out Jace's blog at plaint-shirt.com and follow him on Twitter @lum1ey. Easter is now less than a week away, and the summer weather appears to be here. Since I am fortunate enough to be spending Easter at the beach, I will be dressing accordingly keeping it cool with shorts, a white oxford, and tying it all together with a pastel bow tie.